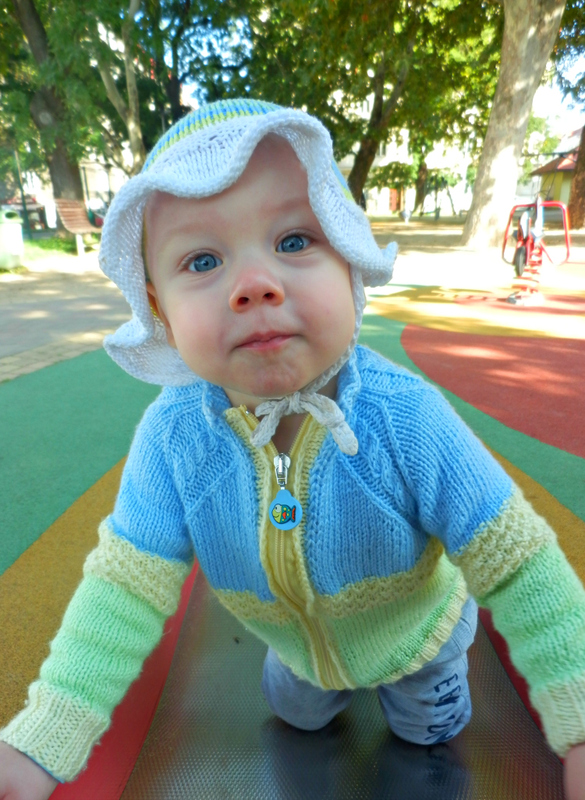 My boy in his cute new cardi, that is 🙂 After reknitting it about one hundred times, Zippy is finally finished! I could just eat him up 🙂 This thing really gave me some trouble! The gauge varied a lot, the amount of yarn was just so (I had about 3 g of leftovers, combined) and I sew the zipper on the sewing machine, which I will never do again. It would benefit from slightly stretchier hand stitches. But I am really happy with the results! Hopefuly, it will také him through the autumn and maybe even a bit of winter. You know toddlers, you look away for 10 minutes and the just grow 5 cm! 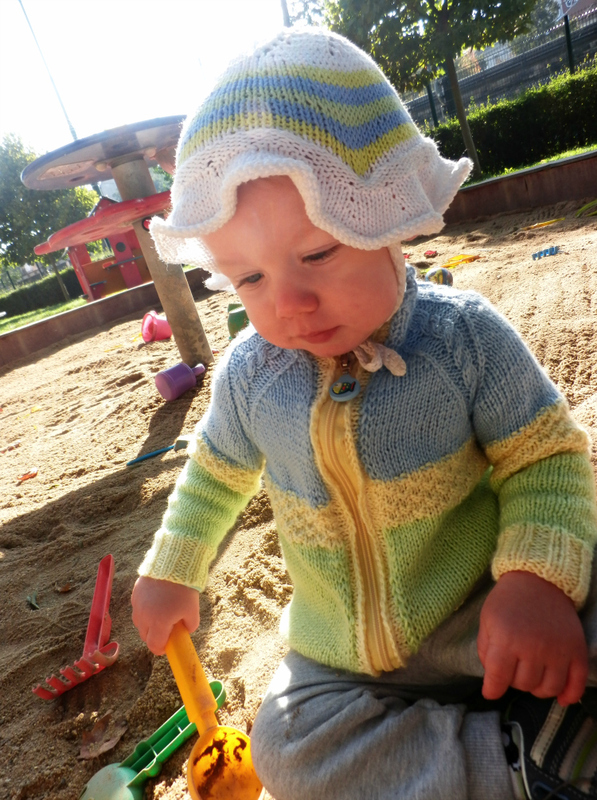 The cardi seems to be soft, stretchy, fairly warm and comfy enough for him to happily play at the playground. And it even passed the sandpit test! As you can see, we have a couple of days of Indian summer. Don´t know how long they will last, so we try to enjoy them as much as we can. Long winter months ahead! I took this post to party! Cutest baby cardi ever!! Did you follow a pattern? Astri on Coffee Flavored Ta-dah!